Offering peace and love from Hemis Monastery, Ladakh to the world! 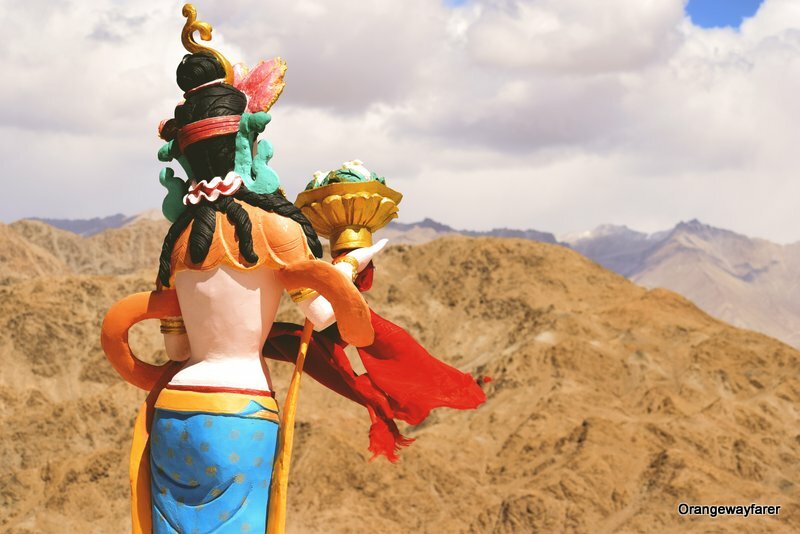 A riot of colours splashed against the bleak mountains of highlands of Ladakh as the monks from Hemis monastery emerged from the fold of barren lifeless Ladakhi mountains. 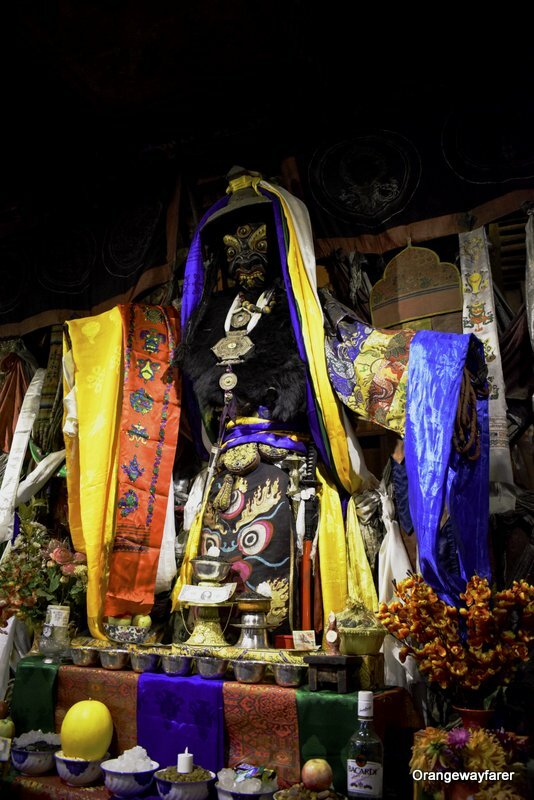 The relics dating back to antiquity, believed to be handed down to Naropa by the Dakini (a phenomenal figure in Tantrik Buddhism) and revered by the faithful were brought out for the world in a procession. Kangling (traditional Tibetan Flutes) diligently announced the arrival along with Buddhist Chants. Hearing the tune, we set aside our just finished cup of signature salty tea and ran across the street, because Naropa Festival just commenced! Pin it for later read! 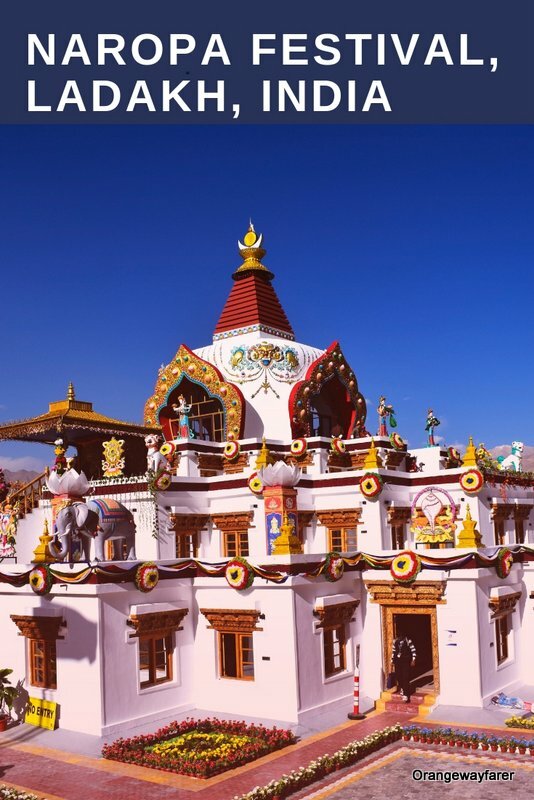 Naropa festival, also referred to as the Kumbh Mela of the Himalayas, brings out the best of the mountain that preserves a wealth of heritage dating back to a forgotten era! 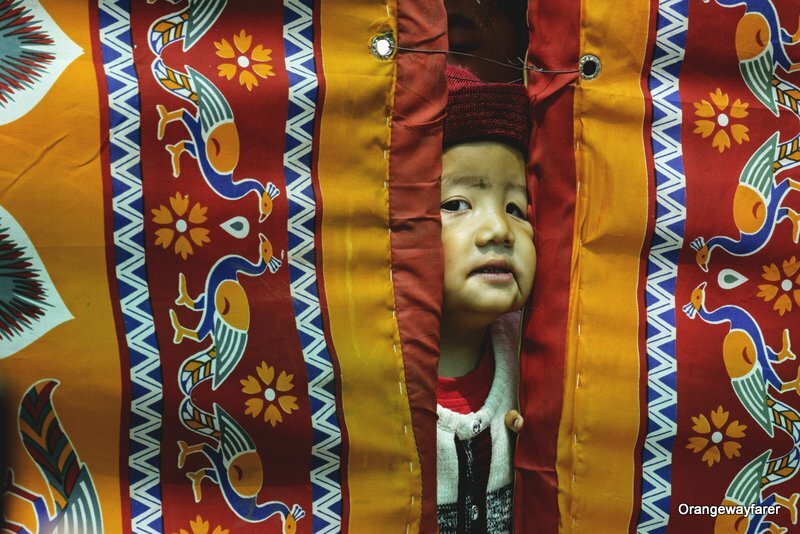 Even though EDM and other seasonings of a “modern world” slowly but surely penetrating the region, the traces of silk route is deeply engraved in the ancient faces and thick braids of the locals who braved a tedious journey and reached the venue of Naropa festival, often holding the tiny hands of the young at home! It took them days, often more than that but the climb is slow and steady and hence wins at the end! Legend celebrates Naropa as a scholar from Bengal and a chancellor at the much-acclaimed Nalanda university travelled the expanse of this huge region and reached the Hemis monastery. Mind you, we are talking about the early first century, steels of train lines were yet to scar the Indian earth. Printing was an alien world. The unregulated world of the internet was not even perceived! Naropa the scholar. Many such fresco paintings adorn the monastery walls! Naropa’s encounter with the Dakini is an epic rendition of Indian mythology. Suffices to say, she was the one who stressed the importance of wisdom and persuaded him to seek the same. 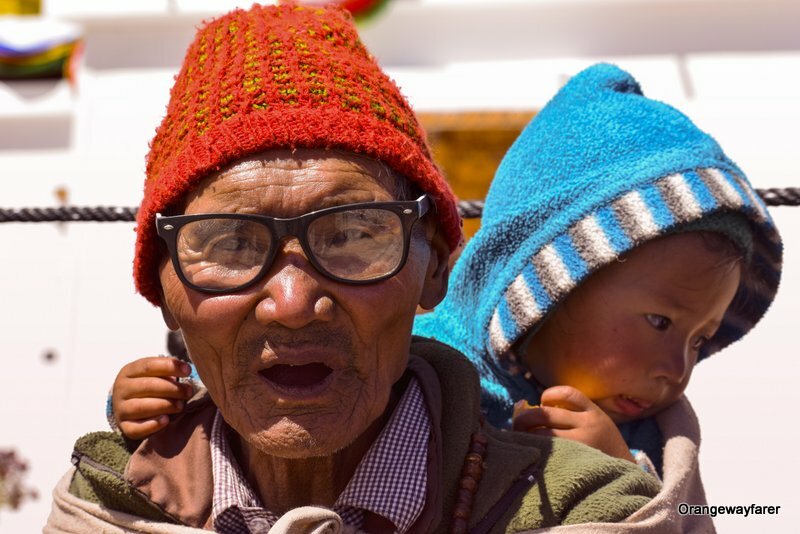 Also read, a photo-blog from Naropa Festival, Ladakh! Over the period of time, Naropa succeeded in a couple of dozens of hardships and pleased his Guru, Tilopa and attained Nirvana, a realisation of “mahamudra“. His contribution is best remembered in the collation of the Six Dharmas and help Buddhism reach a greater number of people. The restored Gandhara art collected from around the region testify that! 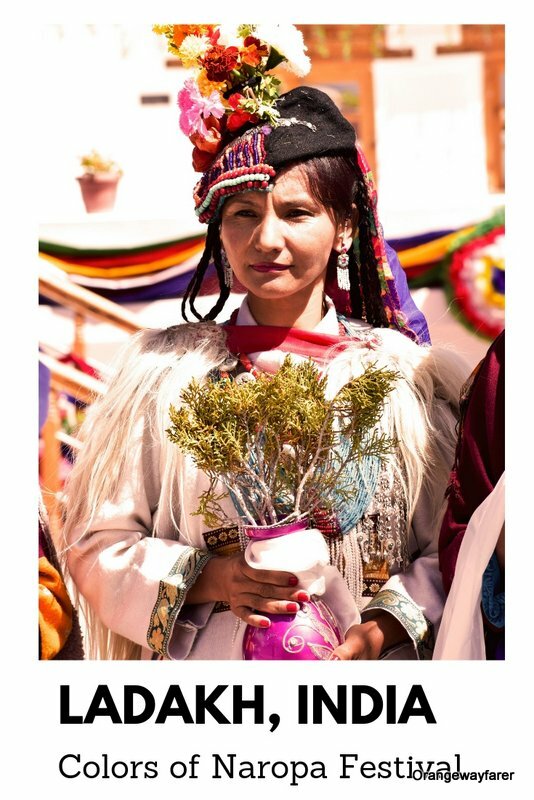 Many Acts of Naropa Festival: Performances that are to be seen nowhere else but Ladakh! 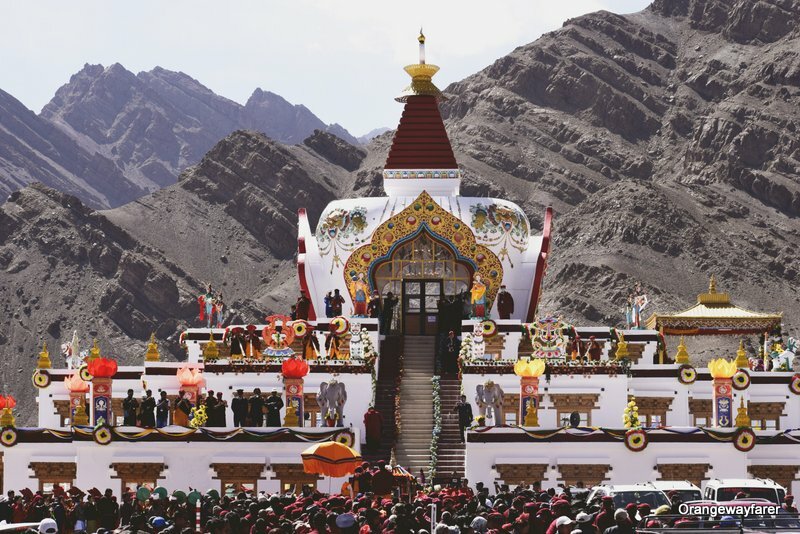 Naropa festival takes place at Hemis Monastery for about a week when the prime elements of the celebration make way for the stage. If you are seeking more immersive cultural experience, the monastery premise will enchant you for a month, with Kungfu nuns practising, young monks frolicking and others busy making arrangement for the grand event. Staying true to the nature of Kumbh Mela, Naropa festival takes place every 12 years. However, efforts are in place to organise Naropa Festival every year. The Dakini, besides inspiring Naropa to attain wisdom, also bestowed a few relics made of bone. The six bone ornaments, as it is referred to, is generally adorned on the dress by religious premiers of Buddhist Drukpa lineage. They are brought out on display for the common man on the eve of the festival and placed on the altar at Naropa Photang. Queue up with the son of the soils and climb the stairs to take a glimpse. The morning rituals composite of prayers and sacrosanct religious practice. However, the nights at Naropa festival brings in a blast! An unprecedented nightlife lits up the valley as residents, visitors, pilgrims and fighters from nearby army barracks groove in the tunes of Bollywood number! From Shreya Ghoshal to Sonu Nigam, the shooting stars from Bombay descend on Earth! 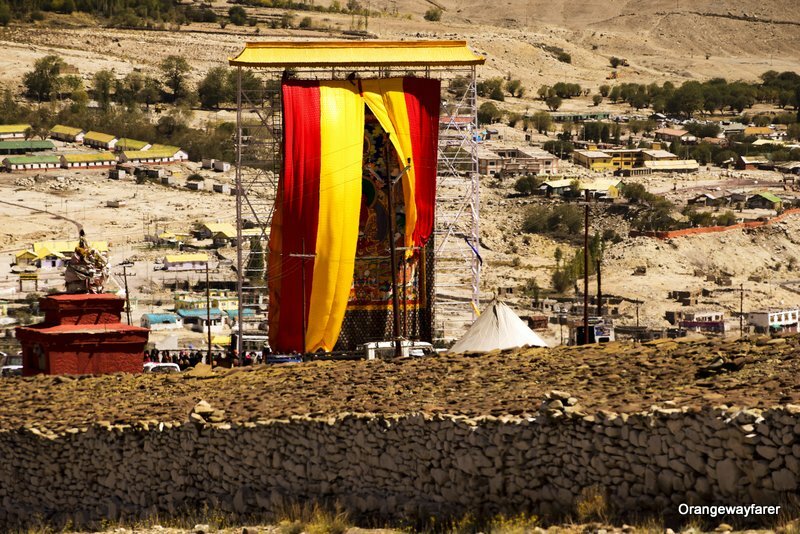 Such a stage for celebration of Naropa Festival, Ladakh! Many lineages of Buddhist faith are invited. Along comes provincial culture. You can easily spot a few stalls selling Cham dance masks from Sikkim or artefacts from Bhutan. They are all Buddhist in practice, however, cling to regional identity in minute details. 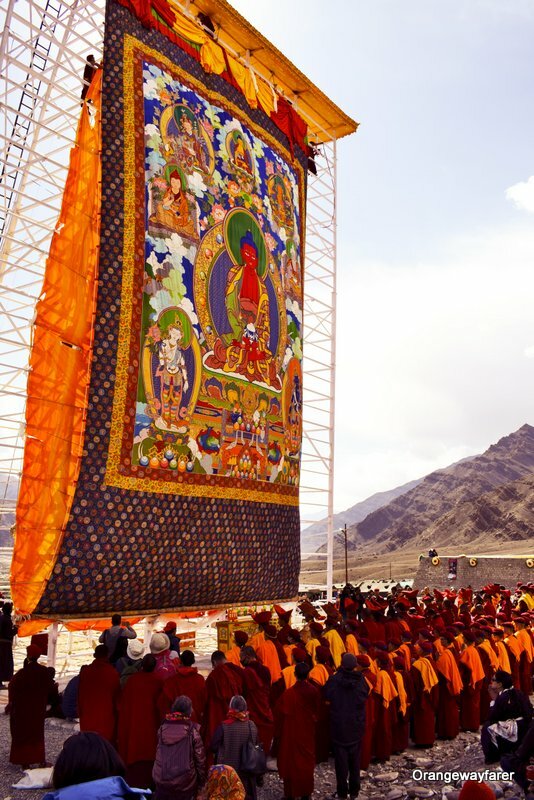 A 70 ft tall Tangkha was unfurled on the second day of the festival. Handpainted Amitabh Buddha’s face adorns an assuring smile in the intricate details of silk embroidery from early seventh century came out for public display. The plight of devotees bowing down in front of it chanting prayer is evocative, to say the least. Later, as we sat for a conversation with Guru Rinpoche, we learnt many nuances of typical Ladakhi lifestyle, which is not really all merry! Once a part of the iconic trade route, the Silk Route connecting the vast expanse of Asia with Europe, the caravans business came to a drastic end as modern age beckoned. Meanwhile, the roof of Himalaya, Ladakh remained mostly out of the realm of globalization and technological boom that swept the plainland India! Result? The youth of Ladakh has been drowned in intense depression. Hardship pertaining to daily life, uncertainty and availability of employment, scarce resources contribute to the cause. 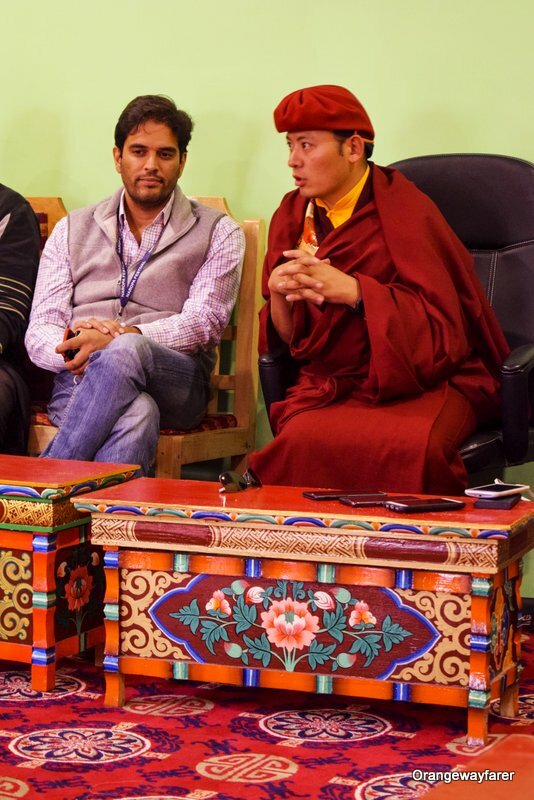 Drukpa group has been instrumental in creating awareness in various levels for some time now. “Live to love” is their motto and they are committed to the cause. A pledge on a simple piece of paper that discourages drivers from cleaning the tourist car in Indus river is given to everyone. Further, they are taught about the impact of the act. Many villages in the oblivious edge of the mountain depend solely on the water from the river. They can drink it safely. 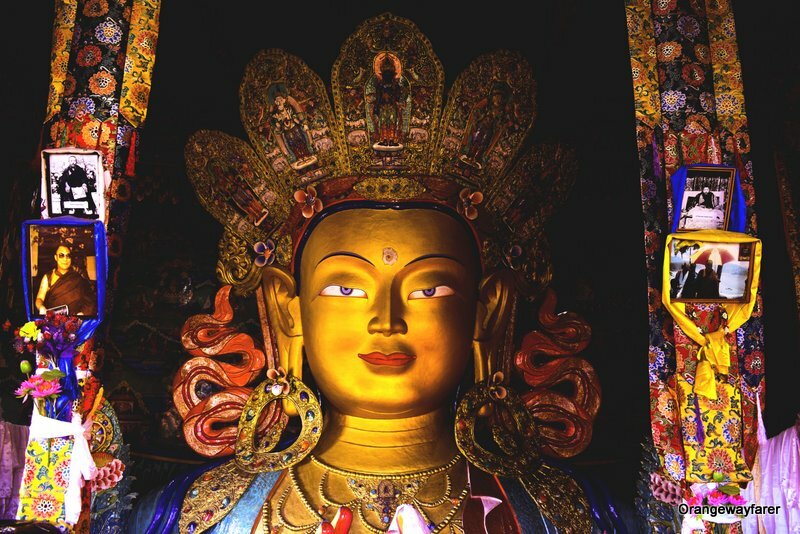 The Naropa fellowship is a new program introduced at the Hemis Monastery that is inviting application from learners across the Himalaya region and teaching them age-old indigenous values of life. That is the only way to sustainability and help serve the local community as well. Naropa fellowship, an 18-month long postgraduate program, is an ambitious project which has a chance to roll out as a full-fledged masters degree program too! 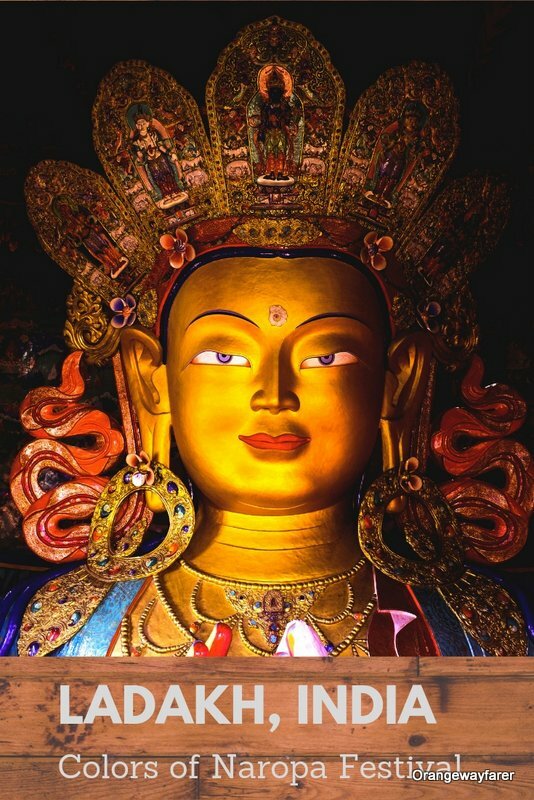 Hemis monastery: The Richest one in the Ladakh! 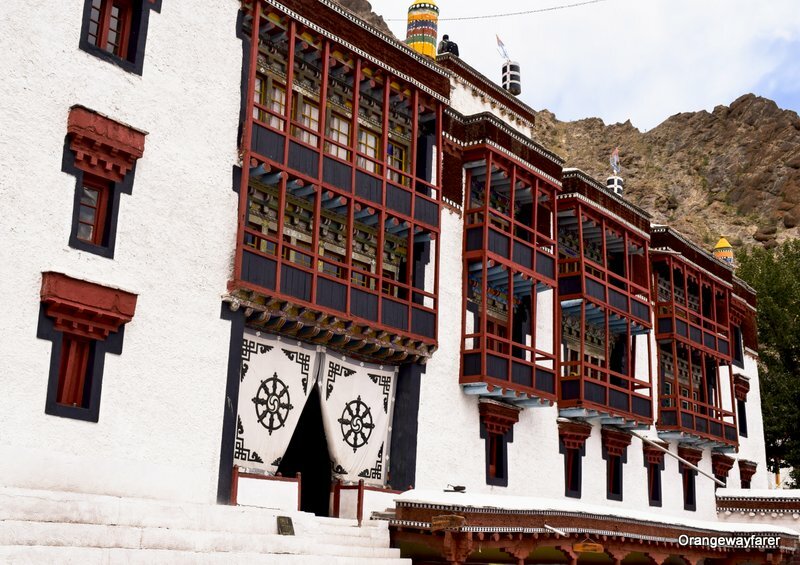 Often referred to as the richest monastery of the region, Hemis monastery safeguarded its treasures from invaders throughout history thanks to its strategic location. The Tibetan masks used in Cham dance during Losar festival, the tiger skin on which scholars sat and meditated, the handwritten manuscripts, samovars from Samarkhand and many historical artefacts are on display at the museum. You need to pay a meagre INR 30 as an entry fee to enter and marvel at the collection! Hemis monastery is one of the most beautiful monasteries I have ever been to! Also read, road-trip to the sheer mountains of Arunachal Pradesh, North-East India! The cycle used by His Holiness the Gyalwang Drukpa, the spiritual head of the Drukpa Kagyu, on his journey across North India to spread awareness of a cleaner and greener Himalaya with many nuns is also hung on the wall! It reinstates, riding a bullet is so blasé, Cycles are the new cool with that jaw dropping Ladakh backdrop! 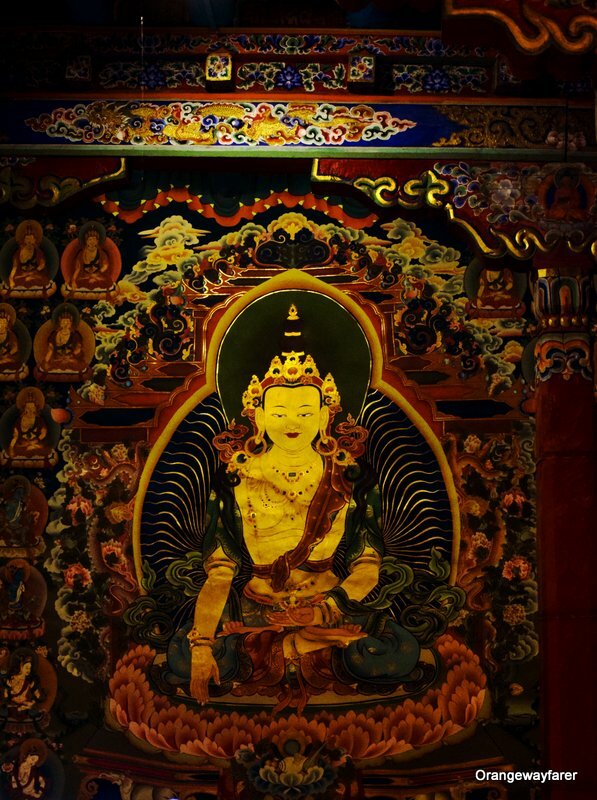 The museum is situated at one corner of the sprawling courtyard of Hemis Monastery which is a beauty to behold! The mud bricks painted in white punctuated with rustic wooden pillars against the background of the typical cold mountain that Ladakh mountains are, a rare treat to the eyes! There are three prayer halls where huge Buddha statues (of many scholars believed to be the reincarnations of Buddha) are housed and worshipped. The Tantrik Buddhism is practised here. Be rest assured, the multiple handed pitch black statues, revered as deities to fight off evil spirits, will send a shiver down your spine! The relics showcased at Naropa festival are basically owned by Hemis Monastery. Once the celebration is over, they are taken back to the safe abode. Do know Ladakh is a cold desert area of Himalaya and can be particularly overwhelming with extreme weather condition. The days are warm and bestow abundant sunshine, causing serious skin burn. Carry your sunscreen. At night, the weather will drop drastically eve nearing sub-zero temperature. Be prepared for that. The fragile Himalayan earth is vulnerable to plastic usage. Locals here generally adhere to a sustainable lifestyle. It is the tourist group that create a nuisance. Make sure you carry back as much plastic as you can. Carry your reusable water bottle all along. Beyond Naropa festival and Hemis Monastery, Where to Make Stops Along the Road? 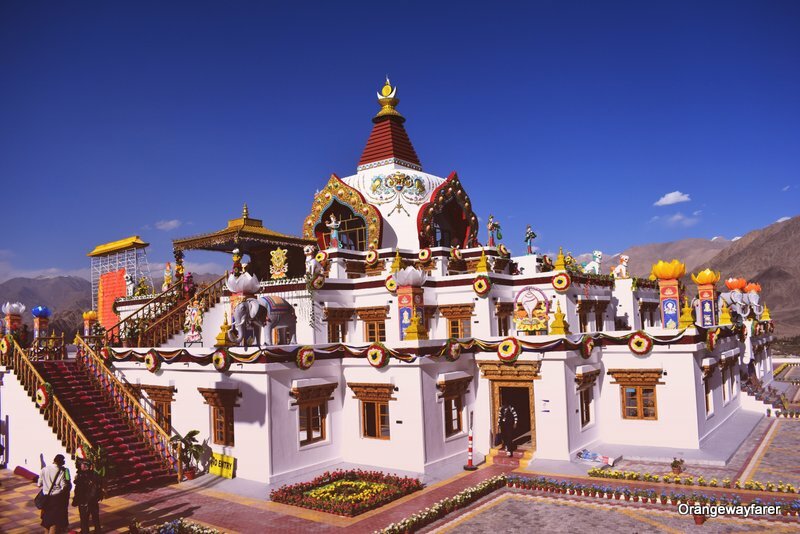 Hemis monastery is situated at 40 Km from the heart of Leh. It is a quick and scenic ride on Keylong-Leh road along the banks of river Indus. Enroute, you will find many lucrative pit-stops, mostly beautiful monasteries. 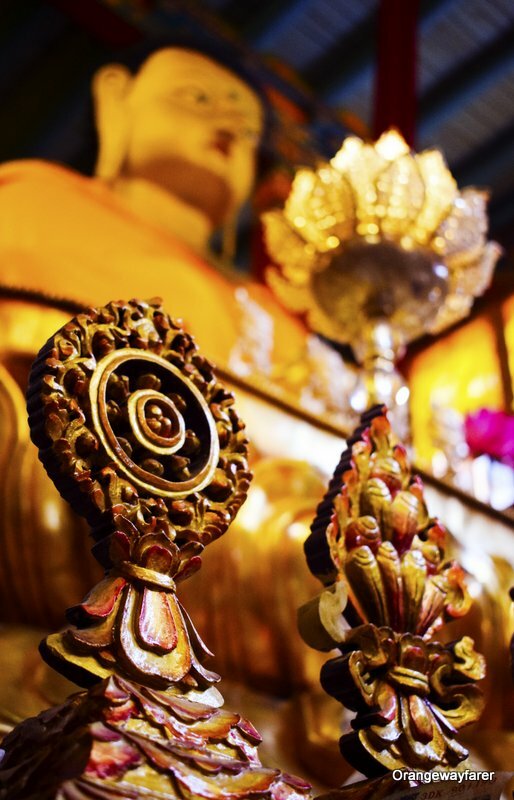 Moon walls, prayer drums, the aroma of yak butter and incense sticks are sure indicators of a Buddhist Monastery! 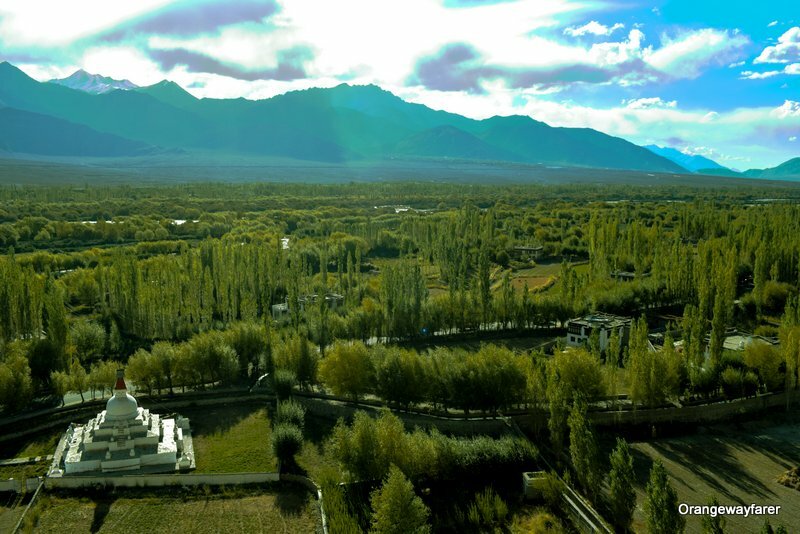 The other-worldly view from Shey Monastery, Ladakh! Interested in Travel literature and guidebooks? Here is my recommendation for Ladakh! Pin the post for later access! Let’s stay connected in Facebook, Instagram, Twitter! This post may contain affiliate links. Please read the disclosure post. If you have liked the article, you may support it by buying using these links without any extra cost to you. Very well described and the pictures are extremely beautiful. What an amazing place and time to be there. You’ve captured it wonderfully! 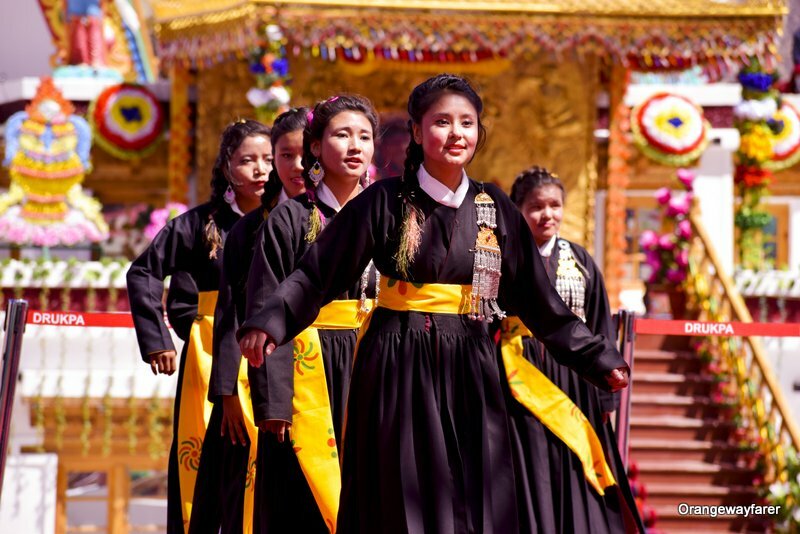 This is such a great guide for the Naropa Festival! I definitely would like to see this! Wow, how fascinating! I have never seen photos from this area before, but it looks totally amazing. Completely under the radar too! High on my bucket list! !